Apple’s latest iPhones announced last week — the iPhone 5s and 5c — don’t appear to have blown consumers in China away. Piling on top of the outcry and disappointment over the lower-cost colorful iPhone 5c expressed by the Chinese, apparently the numbers reported by China’s second-largest carrier have not been very positive either. China Unicom said via its official Sina Weibo account (spotted first by Bloomberg News) that online reservations have passed 100,000 since the iPhones were unveiled. 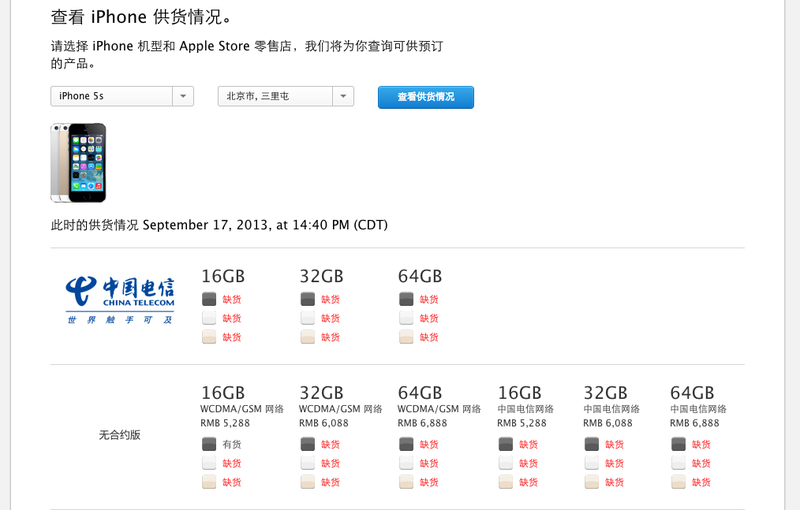 According to Sina Tech, that’s 50 percent lower than the 200,000 reservations the operator racked up within two days of opening iPhone 5 pre-orders last year. In China, the iPhone 5c will retail for CNY4488 ($733) off-contract, just a tad cheaper than the iPhone 5s, which will sell for CNY5288 ($864). It seems like consumers have not flocked to China Unicom to get their iPhones — but does this mean Apple’s latest iPhones in general are not doing well? On the contrary, no. China Unicom may not be raking in the reservations, but Apple Stores are — and the iPhone 5s is proving to be much more of a hit than the iPhone 5c. According to Chinese media outlet Phoenix Tech, the iPhone 5s will cost CNY5,499 ($898) on China Unicom — when users choose a monthly plan that costs CNY386 per month ($63) and commit to a 30-month contract, they’ll get the iPhone 5s for free. Last year, the iPhone 5 cost the same off-contract as the iPhone 5s and was going for CNY5,899 with a contract. 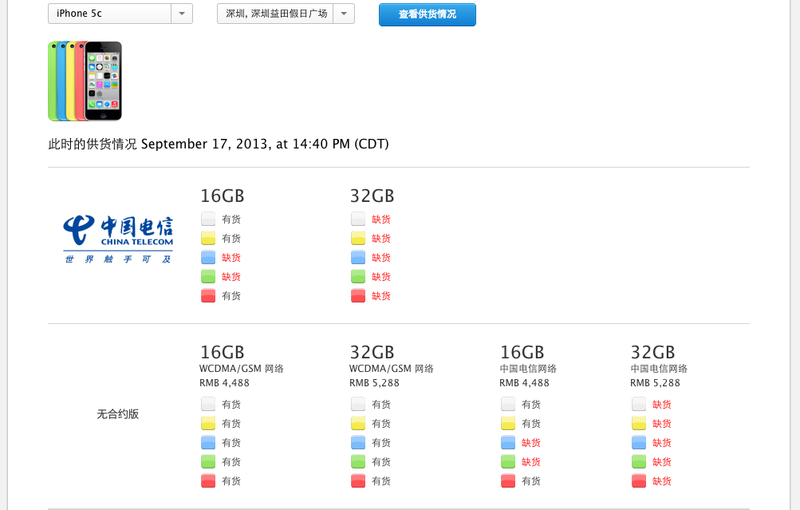 However, China Unicom offered the iPhone 5 for free if users took up the CNY386 monthly plan for only two years, or 24 months. That gives the iPhone 5s a higher barrier to entry (that is, 6 months longer on the their mobile subscription contract), which may deter potential consumers. The iPhone 5c is going for CNY4,699 on-contract via China Unicom. Signing on to the CNY286 monthly plan for three years or the CNY386 monthly plan for two years will get you a free iPhone 5c. On China Telecom, the iPhone 5s is free for those who subscribe to a two-year contract at a monthly cost of CNY389, while the iPhone 5c is free for buyers who sign on to a monthly plan of CNY329 for two years. According to the Bloomberg report, a Hong Kong-based analyst at Sun Hung Kai Financial says that China Telecom’s iPhone subsidy for the iPhone 5s is 15 percent less than the iPhone 5 on a monthly plan of CNY289 — with the former carrying a CNY2,890 subsidy while the latter carried a CNY3,400 subsidy. However, at first glance it does seem that China Telecom seems to offer a better deal, which is likely why the Apple website — which offers rates with China Telecom — is doing better in terms of reservations instead. 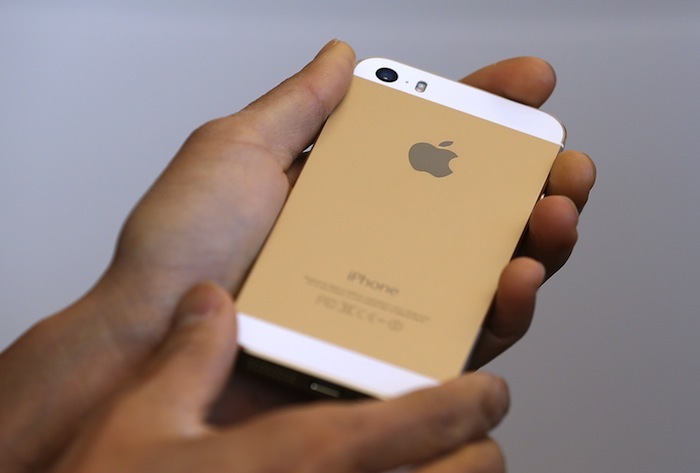 Sina Tech reported this morning that the iPhone 5s is highly sought after on the Apple website. Customers reserving their iPhones online will have to self collect them at an Apple Retail Store. A check on China’s Apple official website shows that all the eight Apple stores across the country have mostly run out of stock of the iPhone 5s — the only one left would be the off-contract 16GB gray version. Comparatively the iPhone 5c, which comes in more colors, is still widely available, but even several of the Apple Stores have run out of stock for certain variations of this new lower-cost device, just like this one in Shenzhen. When taking operator competition into consideration, tepid demand via mobile subscription contracts on China Unicom isn’t surprising, as it is likely that customers prefer China Telecom’s apparently lower prices, or even as many of them simply prefer to purchase the device itself to avoid being locked down into any carrier’s plans. Some consumers may also be holding out for the iPhones to land on China Mobile — given that Apple has finally gained regulatory approval to work with the world’s largest carrier. According to initial trends, Chinese customers seem to prefer the flagship iPhone 5s more than the lower-cost iPhone 5c, though it has been said that Apple rolled out the colorful plastic-shelled phone to target the Chinese market. This reinforces the fact that to many consumers in China, Apple’s iPhones are squarely within the high-end bracket, and this means those who can afford it would not mind paying just that bit more to go for the “premium” version. With all the off-contract iPhone 5s devices also fully reserved, Apple’s strategy to remain high-end isn’t faring too badly so far, but these are still early days. Furthermore, Apple has not revealed the number of devices it has rolled out for reservations. The lackluster demand through China Unicom is also a worrying sign that some customers may feel alienated by the options that operators are offering, which could affect the iPhone’s popularity eventually.